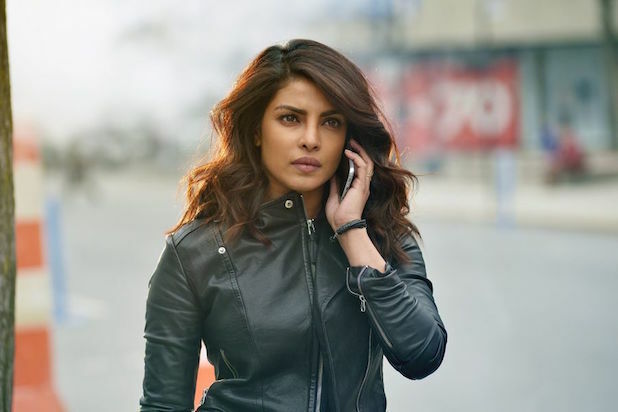 So, “Quantico” returned to TV last night for its third season. If you didn’t notice, don’t worry, you’re not alone: The ABC drama’s Season 3 start managed just a 0.5 rating/2 share among adults 18-49, and 2.8 million total viewers. Fox was No. 2 in primetime averages with its NFL Draft rights. Elsewhere, Telemundo topped NBC in demo ratings with its 2018 Billboard Latin Music Awards. CBS was first in ratings with a 1.3 rating/5 share in the advertiser-coveted 18-49 demographic and in total viewers with an average of 8 million, according to preliminary numbers. “The Big Bang Theory” at 8 p.m. earned a 1.9/9 and 11.5 million viewers. At 8:30, spinoff “Young Sheldon” scored a 1.7/7 and 11 million viewers. At 9, “Mom” landed a 1.3/5 and 8.5 million viewers. “Life in Pieces” at 9:30 received a 1.0/4 and 6.3 million viewers. “S.W.A.T.” at 10 finished primetime with a 0.8/3 and 5.2 million viewers. Fox was second in ratings with a 1.1/5 and third in viewers with 3.9 million, airing just its coverage of the 2018 NFL Draft. ABC was third in ratings with a 1.0/4 and in viewers with 4.8 million. “Grey’s Anatomy” at 8 p.m. posted a 1.4/6 and 6.5 million. “Station 19” at 9 had a 0.9/4 and 5.2 million viewers. “Quantico” followed. Telemundo was fourth in ratings with a 0.8/3 and fifth in viewers with 2.1 million. NBC was fifth in ratings with a 0.6/3 and in viewers with 3.1 million. “Superstore” at 8 had a 0.7/3 and 2.8 million viewers. At 8:30, “A.P. Bio” got a 0.5/2 and 1.8 million viewers. Following a rerun, “Champions” at 9:30 settled for a 0.4/1 and 1.5 million viewers. “Chicago Fire” won at 10 with a 0.9/4 and 5.4 million viewers. Univision and The CW tied for sixth in ratings, both with a 0.4. Univision had a 2 share, CW got a 1. Univision was sixth in total viewers with 1.3 million, The CW was seventh with 1.2 million. For The CW, “Supernatural” at 8 had a 0.4/2 and 1.5 million viewers. At 9, “Arrow” got a 0.3/1 and 913,000 viewers. Summer is not just for reruns anymore. But that doesn't mean some of broadcast TV originals fare any better in Nielsen numbers. 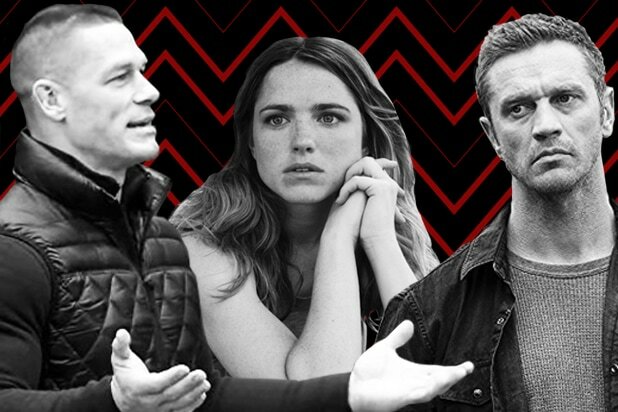 TheWrap has ranked the 10 lowest-rated broadcast TV shows from June, July and August 2017, using Nielsen's Live + 7 Day metric in the adults 18-49 demographic. Mario Lopez hosted this game show based on the popular smartphone game. CBS' sci-fi series about Earthlings trying to prevent an asteroid-based apocalypse never connected with viewers. Perhaps ABC might have lured more viewers if they had revealed the real identity of "British" host Tommy Maitland -- a very well-disguised Mike Myers. Rita Ora hosted this reality competition series that seemed about a decade too late for the boy-band trend. Despite the presence of host John Cena, viewers didn't enlist for this military-inspired competition series. The former Fox News host stumbled in her prime-time debut. A docudrama series used interviews and re-creations to depict tales of survival. Paula Patton starred as a woman convinced she knows the time and place of her young daughter's murder. A period drama that tried to pick up where "Romeo and Juliet" ended but just left viewers wondering, "Wherefore?" This legal drama starring Katherine Heigl that proved no more popular than her last few projects. "Love Connection," "Zoo" and others just missed out on making this list. Worse luck next year?